River Tungnaa was gradually eroding a chasm through the Sigalda Hill, where a 40 metres high dam was built to create a 14 square kilometre reservoir for the hydroelectric power plant, which has been operated there since 1977-78. 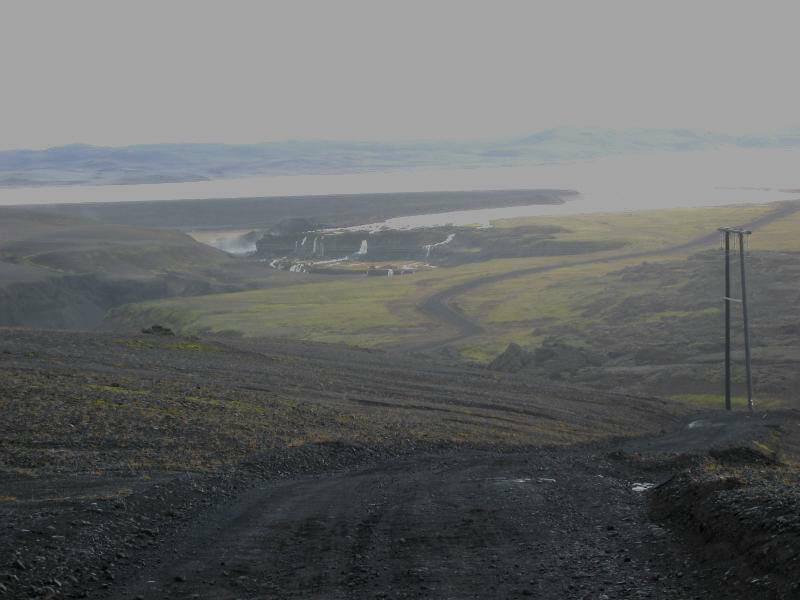 It is a 925 metres long rockfill, coated with asphalt on the lake side. A one kilometre long headrace channel directs the water to the three 74 metres high pressure shafts, each generating 50 Mw. The tailrace channel is about 550 metres long.